I’ve lived in the PNW my entire life, and I hope to never leave! I love it here, rain and all. Ryan and I married in 2007 and landed in Vancouver. We’ve since had three beautiful daughters, two dogs, a fish, and a lot of laughter. We started walking dogs as a hobby business in 2010, and over time it has become “what we do”—and it’s wonderful! We have two Akitas, Levi and Jada. They look similar, but they are hardly similar in personality. Levi is mellow, a bit aloof, independent, and fearless. Jada is overly affectionate, curious, playful, and skittish. They are best buds and beloved additions to our family. I love the fresh air, I love the exercise, I love the many people and dogs we have gotten to know through the experience… But I guess if I must narrow it down to one favorite, it would be the opportunities we get to work with the challenging dogs, who come with behavioral issues or unfavorable habits. I find a lot of satisfaction in seeking solutions to help them learn and overcome challenges. I have been walking dogs all my life, whether it be for a neighbor, or friend, or my own dog, just for fun. Looking back over my life I can see how much I pursued working with animals any chance I could, it was just in my nature. When Ryan and I adopted our dog Levi in 2009, he came with dog-aggression, and horrendous leash-walking skills. We read books, hired behaviorists, took him to obedience school, and walked him several hours a week. Over time, Levi has become a dog who can come alongside an aggressive dog and give them a positive socialization experience. It is out of our investment in Levi that this business was born. Since 2010, I’ve had the opportunity to enjoy countless dogs of all temperaments, shapes and sizes, and I learn more about working with dogs each year. Raising my children, quality time with friends and family, hiking, gardening, painting, and of course, all things animal. Tacos. With a lot of pico de gallo and guacamole. 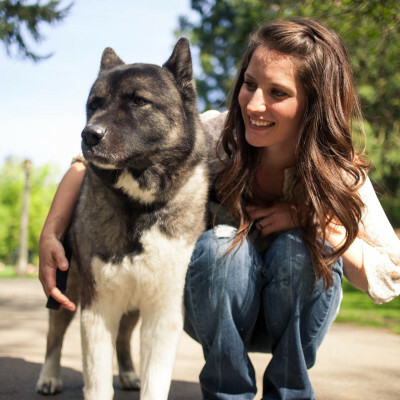 To obtain a professional education in dog behavior and training.